Welcome to my design portfolio. 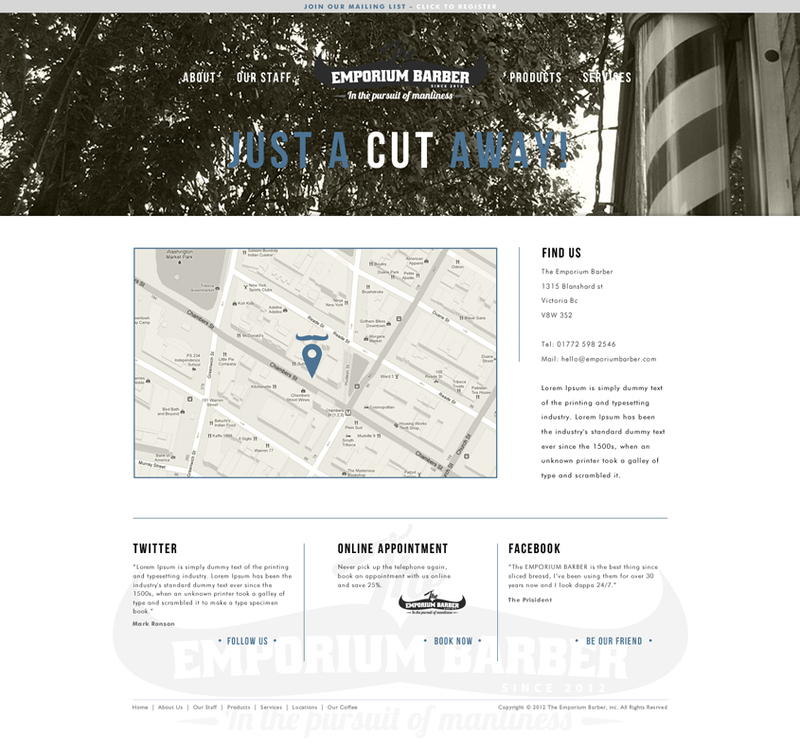 The Emporium Barber is a boutique mens grooming destination. 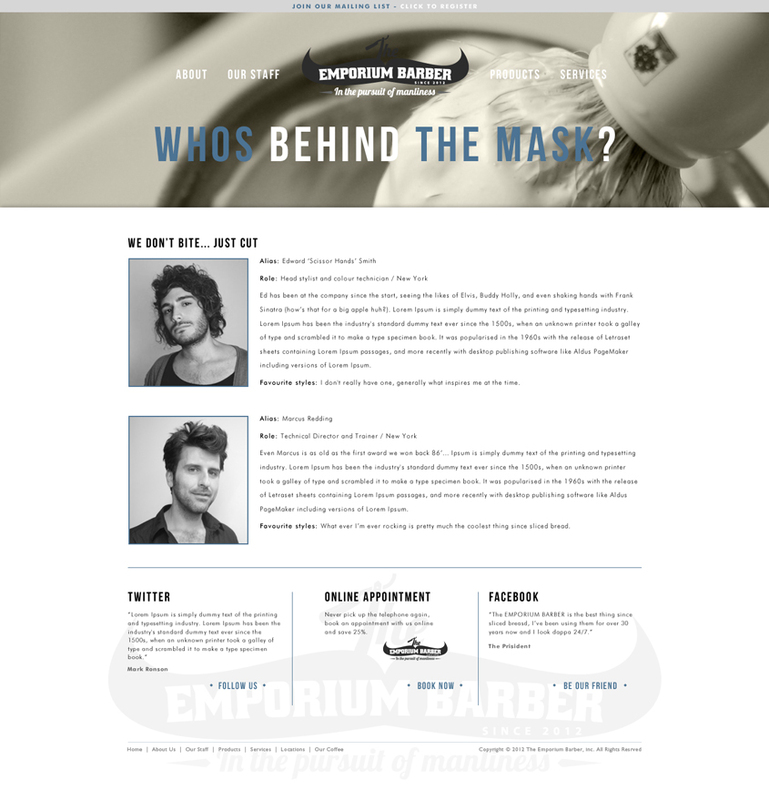 Specialising in traditional barbering services mixed with an offer from a full service salon, through to the skincare and fragrance essentials for the modern man. 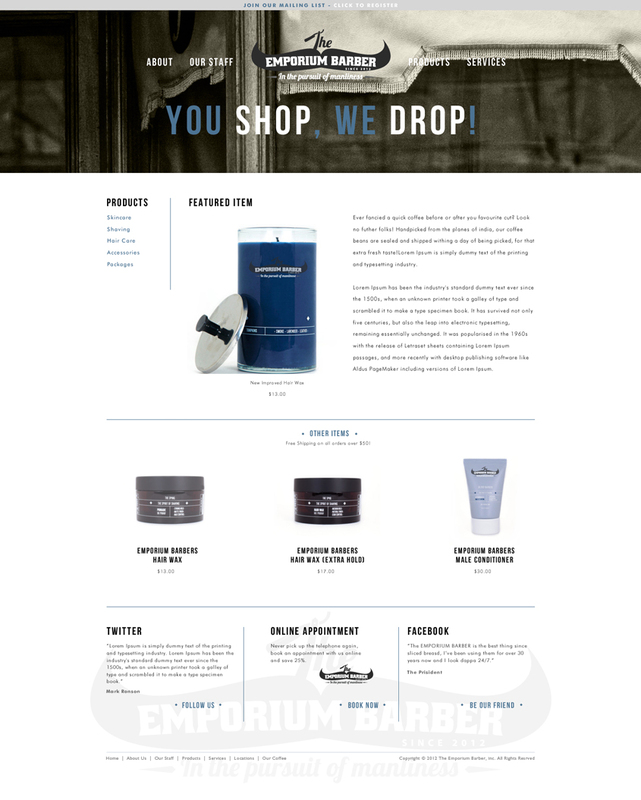 My role in this project was the full design of the site, including its layout, style and font selection.